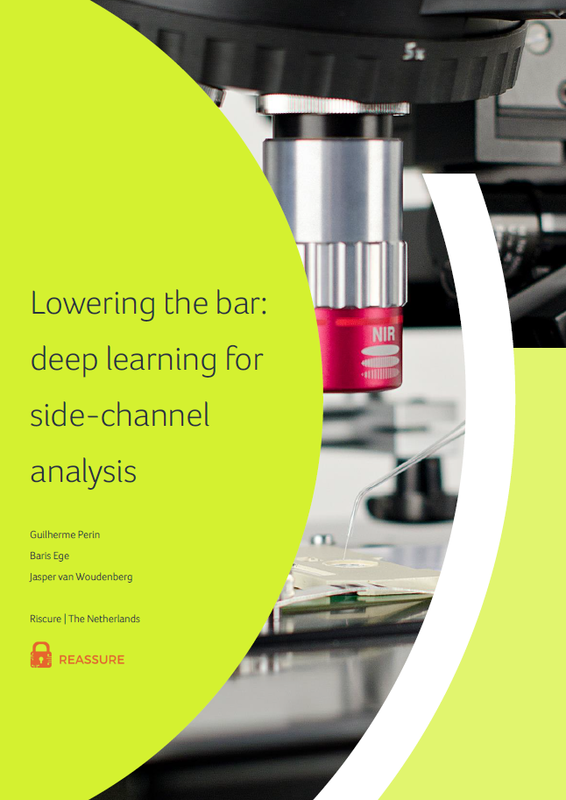 Deep learning can help automate the signal analysis process in power side channel analysis. In this paper we show how typical signal processing problems such as noise reduction and re-alignment are automatically solved by the deep learning network. We show we can break a lightly protected AES, an AES implementation with masking countermeasures and a protected ECC implementation. These experiments indicate that where previously side channel analysis had a large dependency on the skills of the human, first steps are being developed that bring down the attacker skill required for such attacks using Deep Learning automation. This publication is available in a form of slides, originally presented by Riscure's Jasper van Woudenberg at the 2018 Black Hat USA conference. The original research paper is available after registration.